INTO the ever-hectic world of the Irvine Unit stepped League of Friends volunteers on Christmas Morning. 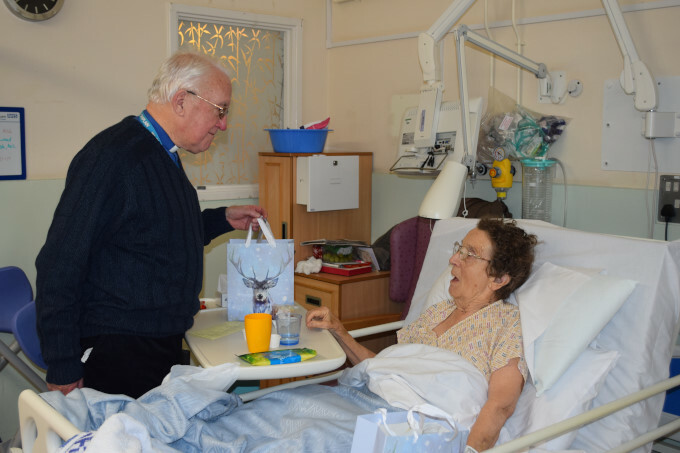 Following time-honoured League tradition, they came bearing gifts for every patient in the unit. 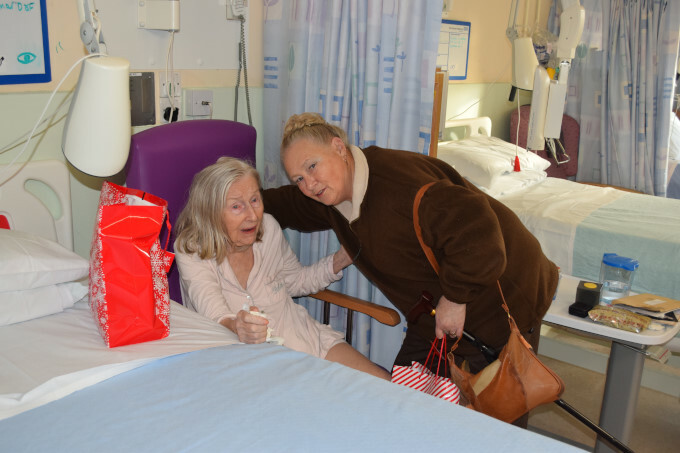 As usual, social secretary Harriet Chapman had been busy buying and wrapping presents that would be of practical use during a hospital stay. 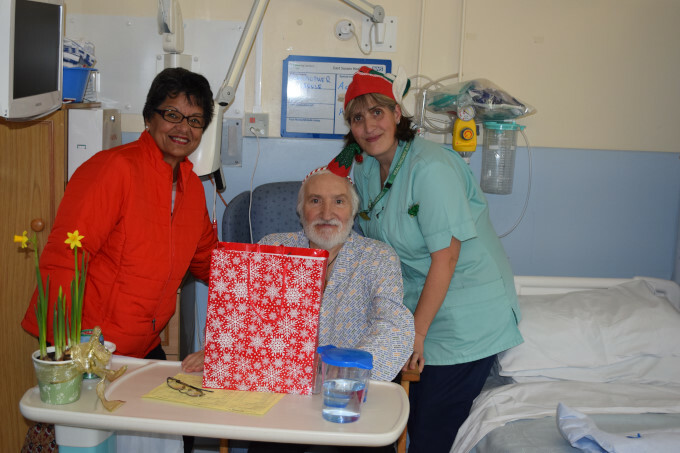 The visitors, led by League Chairman Mark Sivyer, were greeted by Matron Teresa Dann and her staff, many of whom were wearing festive headgear. In between munching a hurried “breakfast” taken on the move, Matron explained that 40 beds would be occupied over the festive season. Up in the main hospital block, catering staff were preparing a full Christmas lunch - turkey and all the trimmings. 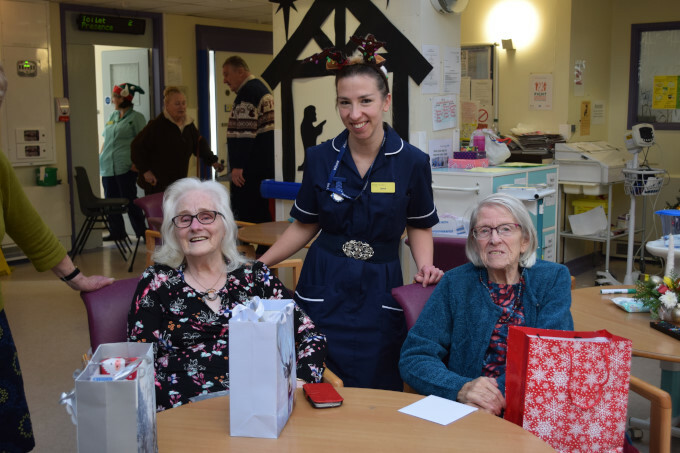 Again, following tradition, the League volunteers unloaded Harriet's car and piled a unit medicine trolley high with gaily-decorated bags of gifts before starting on their rounds as the staff busied about their work. 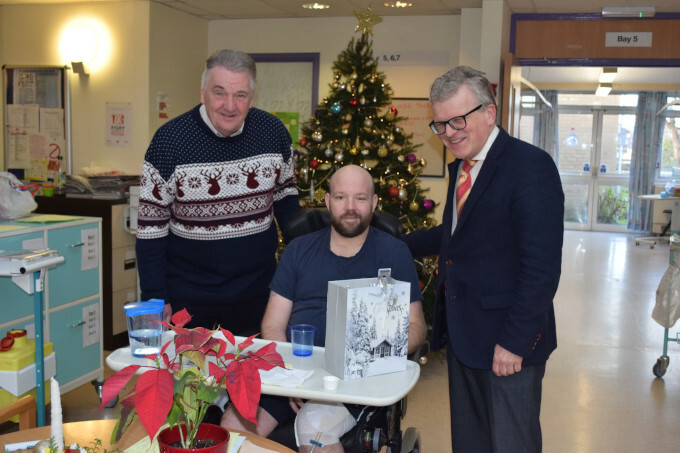 For the Chaplain, the Rev Neville Barnett, Christmas Morning in the unit is the culmination of a carefully-planned programme of events including the League-sponsored Arts in Healthcare live music programme. 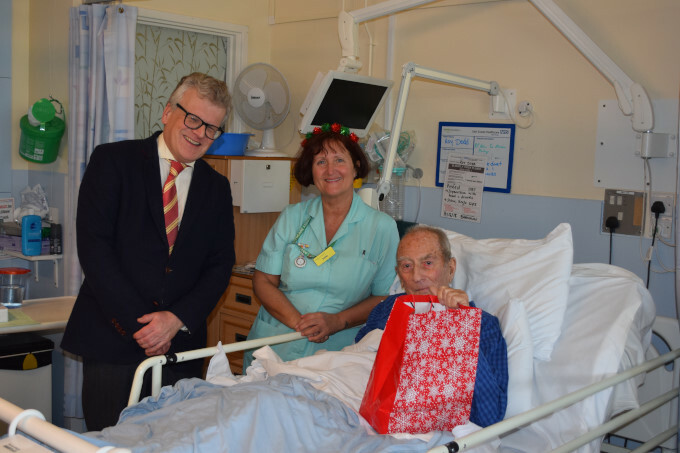 On Christmas Eve he had led carol-singers into every bay and bedroom of the unit to bring the season's message to patients. The Irvine Unit was looking especially festive this year. In addition to a brightly decorated Christmas tree in the central atrium, Santa was emerging from a gift-bedecked mock chimney-piece and Sister Janet Jefferey had created an effective silhouette of the nativity setting. In addition to the Chairman, the League was represented by its President and Secretary, John Dowling, Vice President Peter Mitchell-Davis, Treasurer Chris Ashford and committee members Ann Dowling and Rosemary Boyd-Mercer. 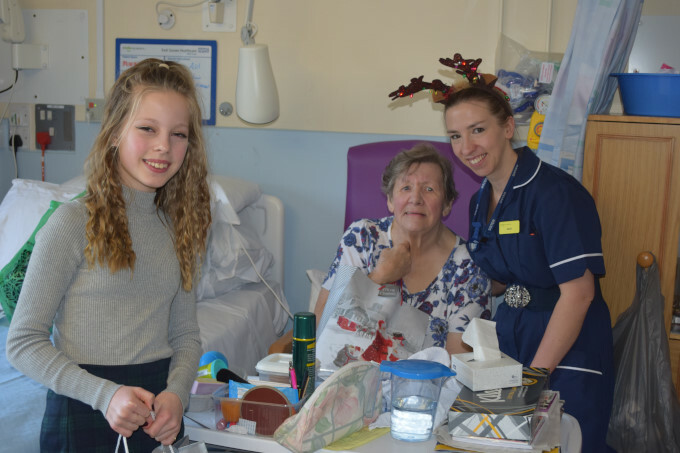 Committee member Audrey Kerr not only had husband Bob to help her but granddaughters Millie, 13, and Lauren, 11. 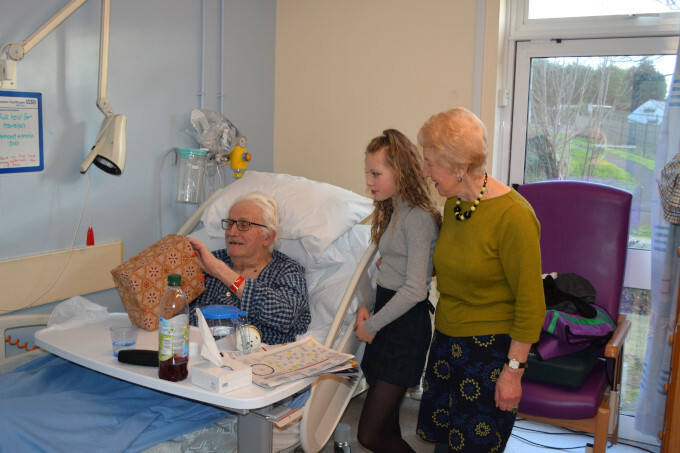 The girls, visiting for Christmas from their home on the Isle of Wight, had asked to take part in the League's special morning and played an active part.